Pennsylvania became the seventh state to offer legal and regulated sports betting on Nov. 17, 2018. The Sportsbook at Hollywood Casino at Penn National in Grantville, PA opened the state’s first retail sportsbook after two days of testing supervised by the PA Gaming Control Board (PGCB). 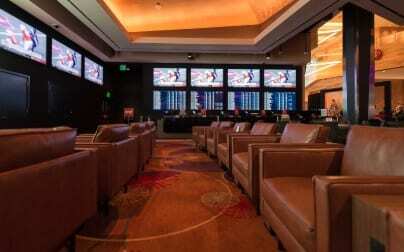 More sportsbooks are headed to Pennsylvania soon. So far, nine of the 13 PA casinos licensees filed for the $10 million sports betting application. All but one have conditional approval to launch. The following are the applicants for sports betting. Presque Isle Downs will open its retail sportsbook on June 1. Both Mount Airy and Mohegan Sun Pocono submitted sports betting applications on March 29. Is sports betting legal in PA? Yes. In fact, Pennsylvania legalized sports betting in 2017 pending a change in federal law. PA’s sports betting law was enacted when the US Supreme Court declared PASPA unconstitutional in May 2018.
Who oversees sports betting in PA? PGCB has regulatory jurisdiction over the state’s sports betting operations. That means it has been tasked with setting up regulations to govern sports betting in the state and issuing licenses to qualified sports betting operators. Currently, there are eight retail betting options in the state. Three are located in major cities, including Philadelphia and Pittsburgh. Eventually, you can expect to find both sportsbooks and betting kiosks at all the approved PA casinos where you can place wagers. Down the road, there will also be wagering at off-track betting parlors as well as mini-casinos. 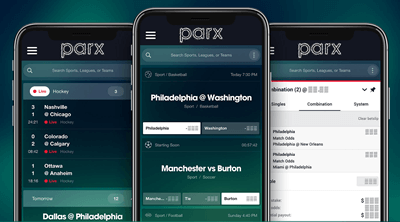 Mobile betting is coming to Pennsylvania soon as well. However, PGCB wants to have a smooth launch of retail sportsbook before letting players bet over the computer or their telephone. Who can apply for a sports betting license in PA? PA’s sports betting law allows slot machine license holders to apply for a Sports Wagering Certificate. These certificates allow slot machine license holders to open up a sportsbook and begin taking bets. It also allows them to offer sports betting at mini-casinos and off-track betting facilities. These operations can obtain a Sports Wagering Certificate for a licensing fee of $10 million. Plus, they must pay a 36 percent tax on all sports gambling revenue. Who can bet on sports in PA? You won’t need to move to PA to make a bet there. However, sports wagering is only open to people located inside state lines. Plus, they must be over the age of 21. How much money will PA sports betting generate? It’s hard to say. There will be significant competition from neighboring states. For example, New Jersey is already burgeoning into a robust betting market. Plus, the 36 percent tax in PA is on the high side. This means competitors paying less in taxes might offer better value for gamblers, hurting the local market. Pennsylvania legalized sports betting, pending a change in federal law, as part of a comprehensive gambling expansion package approved in October 2017. That change in federal law came on May 14, 2018, when the US Supreme Court struck down the Professional and Amateur Sports Protection Act (PASPA) and upheld a 2014 New Jersey law aimed at allowing sports betting in casinos and racetracks in the Garden State by a vote of 6-3. PASPA is the law that made sports betting illegal everywhere except Nevada, and limited sports gambling in Delaware, Montana, and Oregon. In the written Supreme Court decision, Justice Samuel Alito said PASPA infringed upon state sovereignty guaranteed in the US Constitution. He also said states should be able to make their own choices when it comes to sports gambling, opening the door to legalized and regulated sports betting across the country. Of course, Pennsylvania is ahead of the curve on the issue, as one of just a handful of states that legalized sports betting pending a change in federal law prior to the release of the Supreme Court decision. Now, it’s just a matter of the Pennsylvania Gaming Control Board (PGCB) setting up the regulatory framework for legalized sports betting inside the state. 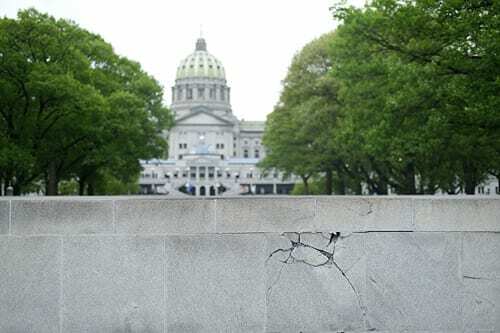 After the Supreme Court decision was released, the board issued a statement claiming the next step for Pennsylvania is for gaming board staff to draft appropriate regulations and seek approval of those by the board. The statement also said the board cannot provide a timetable for the completion and approval of thee regulations or the launch of sports betting in Pennsylvania at this time. Pennsylvania lawmakers started looking at potentially legalizing, regulating and taxing sports betting in 2015. Rep. Rick Kotik issued a memo saying he planned to introduce legislation legalizing sports betting at PA casinos. The memo mentioned the popularity of illegal sports betting across the state and the need to regulated it. Kotik went as far as introducing a bill seeking a repeal of the state’s ban on sports betting. In the meantime, the co-sponsor of the bill, Rep. Rob Matzie, spearheaded a resolution in December 2015 urging Congress to repeal the federal ban on sports betting and allow states to make their own decisions on the issue. The PA House’s Gaming Oversight Committee took up that resolution in January 2016 and it was ultimately passed by the House. The rest of 2016 saw very little action on sports betting in Pennsylvania. However, in January 2017 Rep. Matzie introduced new sports betting legislation to the House as a follow-up to Rep. Kotik‘s original 2015 bill. This new bill went even further, changing the constitutional language and directing PGCB to put together regulations establishing rules and procedures for sports wagering in the state. The original draft of the bill called for a $5 million licensing fee for sports betting operators and an 18 percent tax on their revenue. The House Gaming Oversight Committee approved the bill in April, but no further action was taken on the bill. Lawmakers in the state soon began looking at comprehensive gambling expansion legislation for PA. Lawmakers sought a bill that would approve things like online gambling, video gaming terminals, and online lottery sales in one fell swoop. The comprehensive gambling expansion package went back and forth between the House and Senate with each adding to and changing it to fit how lawmakers in each branch of the legislator saw gambling expansion working. The bill went through several changes and a reworking of Rep. Matzie’s sports betting legislation was added to the sixth version. A seventh version, still including sports betting legislation pending a change in federal law, was ultimately passed by the legislature and signed into law by Gov. Tom Wolf on Oct. 30, 2017. This officially legalized sports betting in Pennsylvania, pending a change in federal law. That change came on May 14, 2018.